In October 1787, en route to Botany Bay, the First Fleet stopped off in Cape Town to replenish provisions and buy animals and plants for the intended new colony in Australia. While the convicts were left to languish for weeks on board, the British officers and marines went sightseeing on dry land – and indulged in a spot of South African wine tourism. 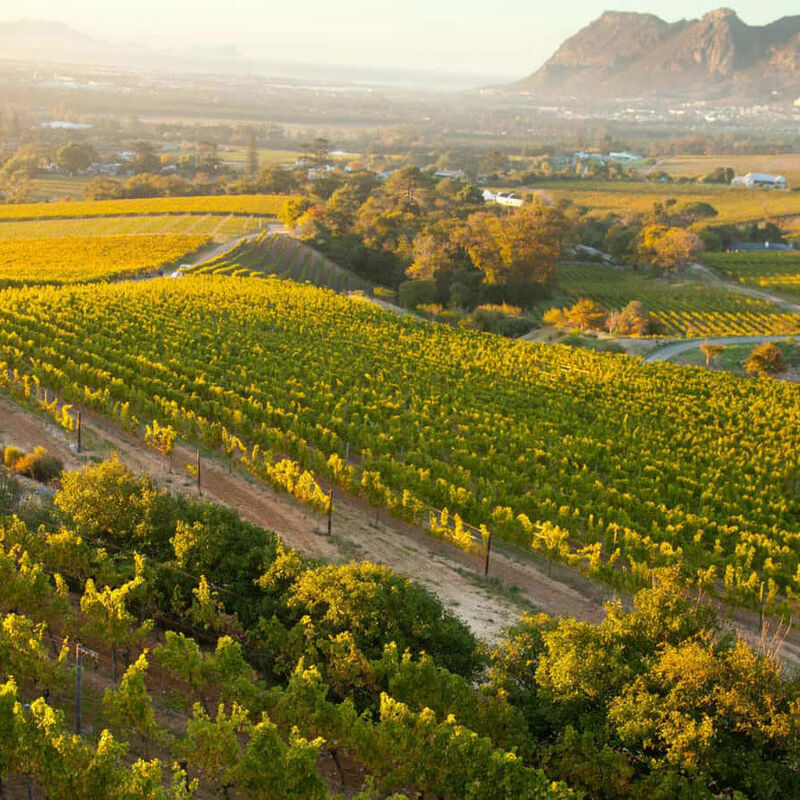 Cape Town proved to be a popular replenishment stop for the First Fleet in 1787 – thanks in part to its sweet wines. 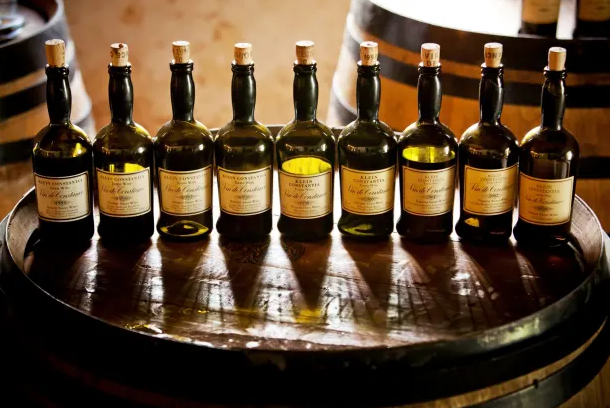 In the late 18th and early 19th centuries, sweet wines were held in the highest regard by connoisseurs around the world, often commanding prices far in excess of dry wines. And Constantia was one of the most prized sweet wines of all. Notable devotees of the “excellent cordial” included Casanova, George Washington and Napoleon Bonaparte. And Jane Austen, Charles Baudelaire and Charles Dickens – like David Collins – all wrote glowingly of the wine. 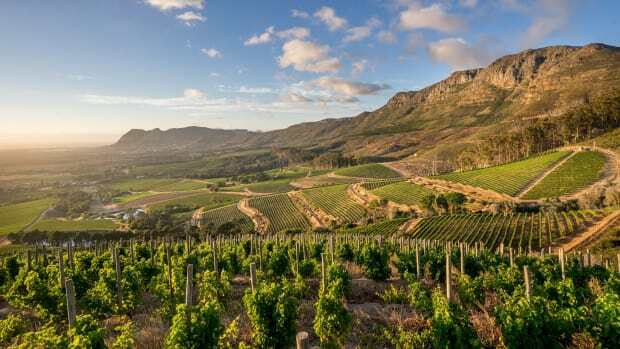 Over the ensuing decades, the fortunes of South Africa’s original Constantia vineyards ebbed, with the last sweet wines being produced there in the 1870s. 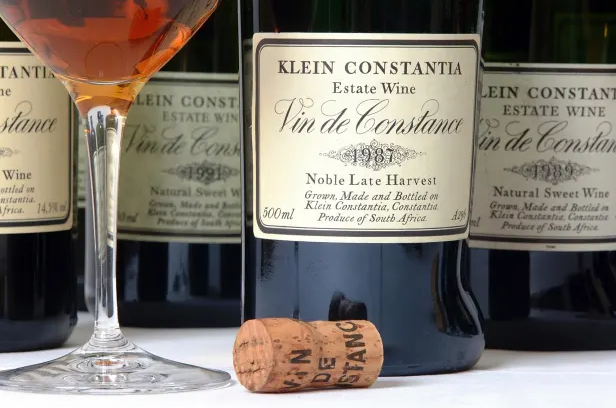 It took a century before this pocket of the Cape saw vines once again, and until the mid 1980s before the then owners of the Klein Constantia estate decided to recreate the famous sweet wine of yesteryear, calling it Vin de Constance and releasing it in a replica of the distinctive, dumpy 18th-century bottle. Since the current owners of Klein Constantia took over in 2011, they have been making up for lost time. As well as expanding the business in 2012 by merging with the leading Stellenbosch vineyard Anwilka and planting more sauvignon blanc on the home estate to keep up with demand (most of Klein Constantia’s modern production is in the form of dry wines such as sauvignon and cabernet blends), Astrom says the viticulture and winemaking team has been looking at ways to improve the already successful formula for the Vin de Constance. For lovers of great sweet wine, this is potentially very exciting: these three grapes, from Hungary’s Tokaji region, France’s south-west and the Loire Valley respectively, are all responsible for some of the world’s oldest and greatest stickies. “Constantia … is an excellent cordial,” wrote Sydney’s soon-to-be lieutenant governor David Collins in 1787. Astrom says the team is also more rigorous than ever in its selection of only the very best fruit for the wine: he will send vineyard workers out up to 15 times during harvest to pick only the best bunches of super-ripe, shrivelled and – importantly – botrytis-free grapes. And if the season isn’t up to scratch, no Vin de Constance will be made. “There have been two years recently where we haven’t bottled any,” he says. It’s worth the sacrifice, though, to retain the reputation. Situated in the heart of the Constantia Valley and tucked away in a quiet cul-de-sac, this beautiful Cape Dutch homestead offers accommodation in a safe and tranquil setting for 10 guests in two cottages and two suites. © Constantia Thatch Lodge 2019 All Right Reserved. Proudly powered by Plusto Websites.